There is no formula for the perfect holiday property. Each property we represent is individual with a style and character of its own. 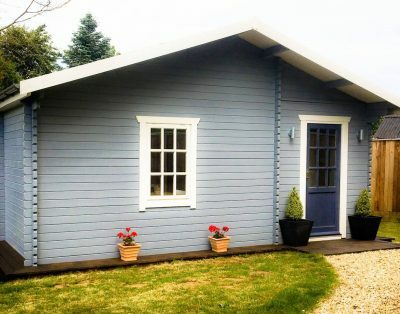 There is a demand for most types of property, be they large, small, period, modern, cottage, apartment tent or shepherds hut. We can advise on the most appropriate décor, furnishings, fixtures and fittings to make your property both appealing to holidaymakers but also practical and cost effective to maintain. We will visit your property and discuss with you all aspects of letting it for holidays, advising on its letting potential and answering any questions you may have. We will also recommend rentals for your property which will take into account seasonal variations and we will give you an indication of the likely levels of income you can expect from the property in its first year and also once it is established as a holiday let. A setup fee and an individual commission rate will be agreed with you if a managed service is taken, which is a percentage of the weekly rental. Our commission charges vary and are offered in accordance with the level of service required from us. Commission charges cover advertising your property on our website, marketing it on other internet portals and social media, plus all the administration of the holiday bookings and communications with owners and guests. If our hosting service is all you need then there’s just an annual charge per property. All property owners will have their own log in so you can access your booking calendar and make changes. If you take a booking, or you get one from another outlet you can then just adjust the calendar accordingly. You will not be penalised in any way for taking booking yourselves or from other outlets. We will require you to fill in and sign our Terms and Conditions Owners Application Form and sign our Terms of Business, which is the contract between you and us; once we receive this signed agreement we will include your property in our portfolio and marketing activities. Your property will be presented on our own extensive website and it will provide the prospective holidaymaker with a clear picture of your property to assist in decision making. Our website also features current availability, what’s on in the local area and places to eat/drink and visit. We advertise extensively on social media as well as promoting local events close to your holiday home. This helps stimulate responses to your property on our website as well as offering special offers and late availability bookings. As in our sister company Bartlettings, we have a strong commitment to quality assurance. Properties must be maintained and equipped to a high standard. We inspect all of our properties on a regular basis to ensure that appropriate standards are being maintained and advise owners where we consider that a property requires attention or equipment needs to be replaced. We expect our owners to work with us to ensure that properties are kept to the highest standard, thus ensuring that guests enjoy a relaxing holiday and wish to return. Properties can be inspected annually and a full report sent to you outlining any missing items or work required. We can carry out this annual inspection at a time that suits you or we can complete it without you needing to be present. A property inspection fee applies (currently £150 for the first property, reduced for additional units at the same address). The inspection fee will be automatically deducted from your monthly statement of account. If you do not live locally we can arrange for and administer cleaners, gardeners and maintenance personnel to attend your property in your absence. The provision of such services will be taken into account when setting commission charges and the services themselves are charged separately; they are not included in our commission charge. We ask all owners to keep a supply of cleaning materials and equipment in the properties as guests will use them, keeping the cleanliness of the property to a high standard. We also ask owners to provide one toilet roll per toilet for the start of each booking. Cleaning materials and toilet rolls can be administered by the cleaner if required and all purchases of such materials will be shown on your monthly statement of account. The garden is an important part of a holiday property. It is often the first impression for guests on arrival and it provides valuable relaxation and recreation space. If your property does have a garden (and we appreciate that some properties do not), we ask that it is well cared for, safe and tidy for guests at all times. We understand that not all property owners can tend to their gardens regularly. If this applies to you we can offer basic garden care services, including grass cutting, weeding, sweeping, hedge trimming etc. on a regular or “one off” basis. If your garden requires specialist attention we will be happy to recommend local specialists. Around 1 in 4 guests bring a pet on holiday. Therefore we advise you that you permit pets in your property if possible. Guests are required to pay extra for their pet, currently £25 per pet per week. We do remind owners, however, that the additional pet charge is partly intended to cover the additional cleaning required after a pet is on the premises and you must be aware that your cleaning costs will reflect this. The health and safety of our guests is of paramount importance. All properties with gas appliances must have an annual test by an approved GAS SAFE contractor. You have a duty of care when it comes to electrical safety and we recommend that you have an electrical safety inspection which comes in two parts. Part 1 is an Electrical Installation Condition Report (EICR) which looks at the safety of the electrical wiring circuit installation, fixtures and fittings. Part 2 is PAT (Portable Appliance Testing) check. Properties which have open fires must have their chimneys swept annually. We can arrange chimney sweeps, gas appliance and electrical testing for you on an annual basis. Alarms, all properties must have a working smoke detector on each floor and a Carbone monoxide alarm fitted in any room that contains any appliance which burns, or is capable of burning solid fuel, ie: working open fire or wood burner stove. All furnishings within the properties must comply with the Furniture and Furnishings Regulations 1988 (details of which can be obtained from your local Trading Standards Office). We regret that we will not represent any property where we find furniture or gas equipment to be non-compliant. If furniture does not display the fire safety ticket we will require a receipt with date and place of purchase for our files. Your insurers must be informed that you let your property for holidays. We ask all owners to provide us with a copy of their insurance policy for our records. We normally hold three sets of keys to the property, except for those properties which are tended by resident owners/caretakers. One set is for guests, one set is for the cleaner and the third remains in our office for emergencies. We would recommend that all holiday properties contain a comprehensive information pack for guests’ use. This is to contain essential information about the property and its facilities and also details of the surrounding area, local tourist attractions and places to eat. All properties must feature emergency telephone numbers, including that of the property owner. Your letting agreement will run from the date of signing through to 31 December annually. We ask owners to give us notice by 31 May annually if the contract is not to be renewed for the following calendar year, otherwise the contract will be treated as continuing. An owner is permitted to book the property for as many weeks as they like as long as they are booked on the booking calendar. If the owner fails to enter a booking on to the booking calendar on our website then our booking takes priority. Rental income, net of commission, is payable to owners on the 10th day after the end of the month of occupation and is payable by BACS direct into your designated bank account. Accordingly holidays commencing in May will be paid on 10 June. Where properties are managed by Secret Getaways in Norfolk, there may be deductions for expenses incurred by us; these items will be debited at the invoice value. You are welcome to talk through your personal choices with us. Call us now on 01603 339001.